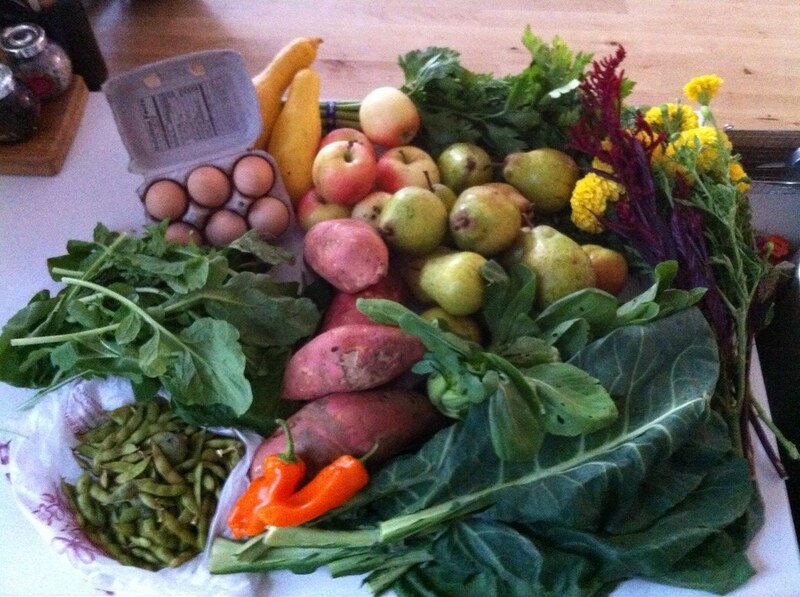 CSA #16 and #17 – ugly food tastes better. Wow. I have never slacked so hard at this site. I had no idea how much I would be working this month, and how many times I would get sick of have ridiculous allergies. And its not going to get better. I leave for a biz trip in a couple days and will be totally MIA, and I am so sad!!! But I am going to do as much as I can before then, and hopefully have someone cover for me while I am away. 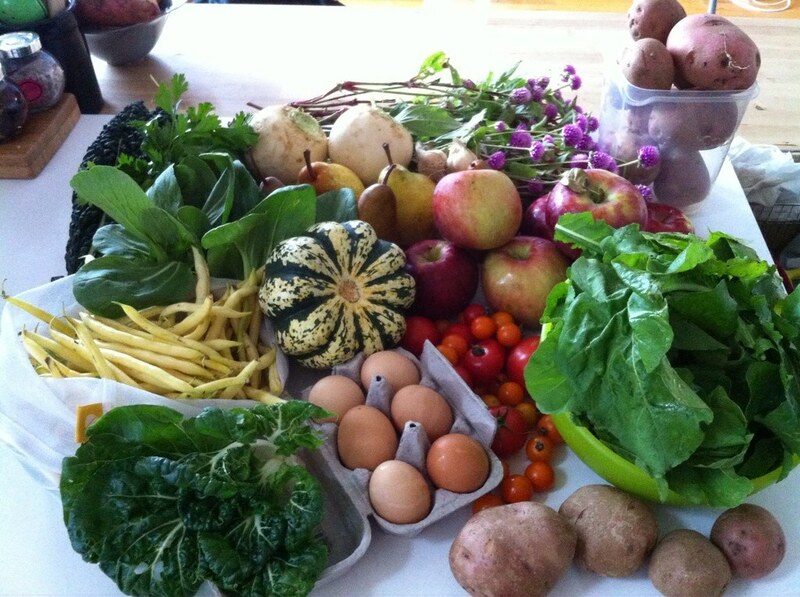 So here is the past 2 week’s CSA posts for you to enjoy, and me to preserve as I have no time to even cook anymore! As a matter of fact, I didn’t even have time to go and pick them up, so the photos are courtesy of my roomie Danielle. haha. 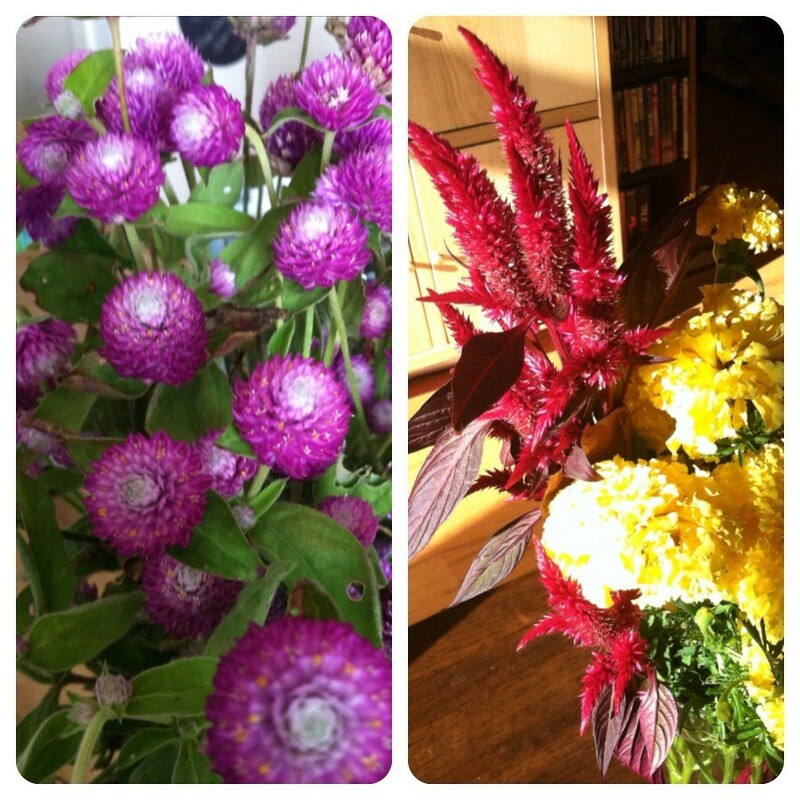 Flower share: zinnias, goldenrod, sunflowers, celosia, etc. Flower share: cosmos, cleome, lemon and thai basil, etc. pretty flowers! Cut yourself some slack from blogging!